What starts like a fairy tale set in a god-forsaken small town gradually evolves into a story of migrant women’s private lives. 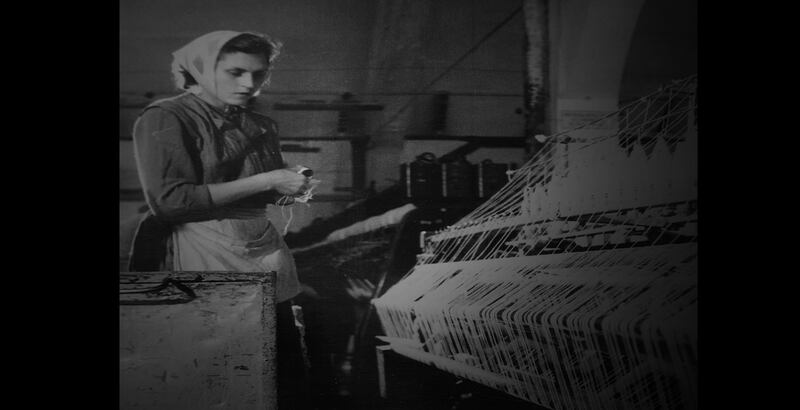 Before the viewer meets the female workers from the local factory, an edit of footage shot by Jerzy Gościk (1934-2003) sets the scene for their arrival by going into the past. We observe a town where time stands still. Wooden horse carriages are driven down the empty streets, mostly populated by chickens and a few older ladies in peasant outfits. The church, the houses and the fountain on the main town square have all seen better days. So have the restaurants and bars, now only hosting drunks falling into the mud. The voice-over says: ‘This town had… no past and no future’. We see close-ups of local signs advertising army bootmakers and tailors. The narrator says that the only business in the town was that serving soldiers stationed in the barracks on the outskirts. Otherwise, the place was dead. That was until 1953, the year that changed Zambrów. As part of the six-year plan to industrialise the country, the Communist government decided to build a spinning mill in the town. After a few shots from the building site, we learn—again from the voice-over narrator—that in 1953 one and half thousand women flooded the area. They were all recruited from Łodź. Before we meet any of the female migrant workers, we see close-ups of their work orders with photographs. Off-screen voices of women recall that having been forced to move to Zambrów by the Communist government they all wanted to run back home, but there was no public transport. As we listen to their memories of cold factory floors, lack of comfortable accommodation and the adversity of the local community, we watch the women at work. Here and there, the camera pauses on a spinning machinery to draw a parallel between the Communists’ emphasis on modern technology and their treatment of women in Zambrów when the factory first opened. The migrant females seem to have been worth no more than the machines, which might have been handled with more care. The stories delivered off screen continue with different women articulating their experiences from the lonely times when they could only find friends in the soldiers, much to the disapproval of the locals who then didn’t want to interact with them; the ‘loose women’ from the factory. Socially alienated, the female workers saw no future. However, the rumours in the town stopped when the army moved the barracks from Zambrów. 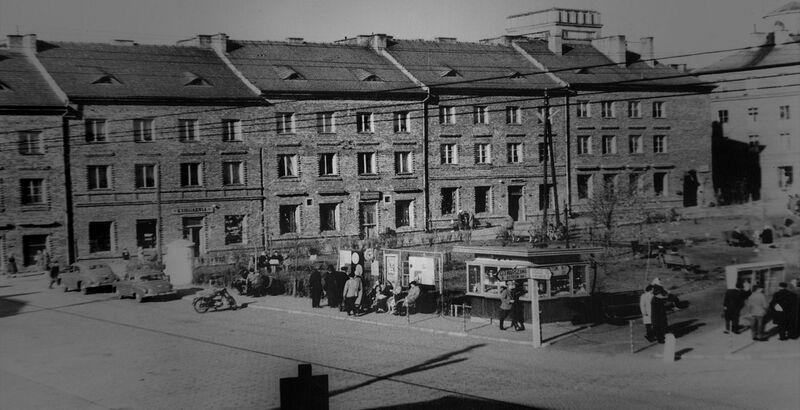 Before the camera allows us to join a contemporary meeting of the migrant women, we see blocks of flats that were converted from the barracks. The narrator tells us that the female factory workers are now the local elite. 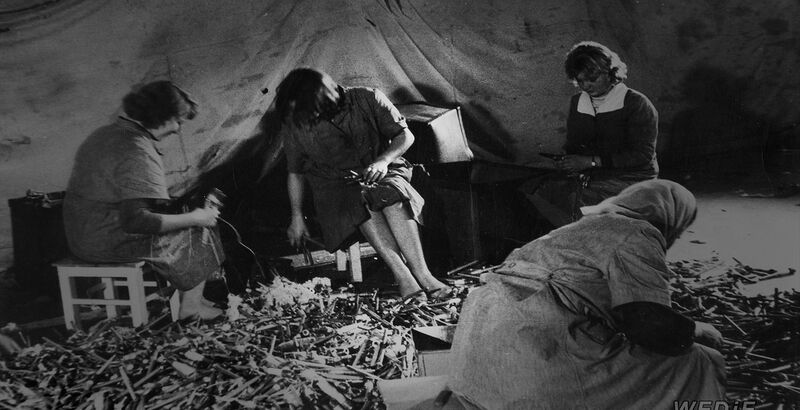 These self-made women earn a lot of money and have their apartments, in which now they often gather to talk about their past. As the women meet for tea, the memories seem to be all they have. In the town, to which they were sent, they couldn’t find suitable candidates for husbands and now as some men started moving there, they are past marrying age. 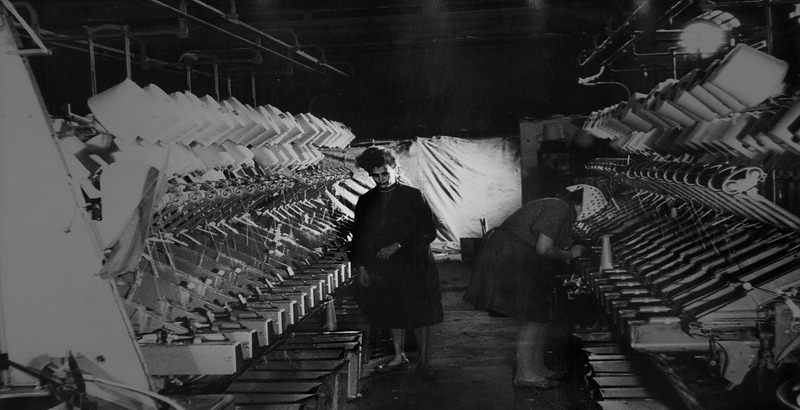 The film closes with a sequence of the signs from the beginning that now reflect a change in the profile of local workshops from army-oriented services to women’s fashion suppliers. Amiradżibi concludes with a medium shot of a road sign: Warsaw 123 km, Ostrów Mazowiecki 31. It symbolically indicates that the women in the film are still at the crossroads. The shadows of their past follow their modern day lives, just like the wooden horse carriage that passes a new bus in the very last shot of the film.